Pure pleasure for guests. If you are looking for an elegant,timeless and economic solution for your guest bathroom,the Universal pillar tap is the perfect choice. The slim designand unusual control at the tip of the spout will impress yourguests. But the universal application options will blow themaway. Because the pillar tap has no temperature control,it delivers cold or premixed water. 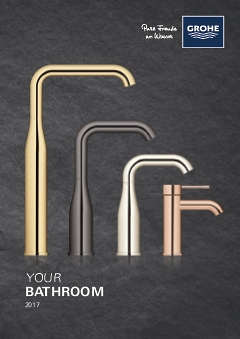 The versatile fittingsolution comes in four amazing designs to complementyour installation plans and your choice of washbasin.